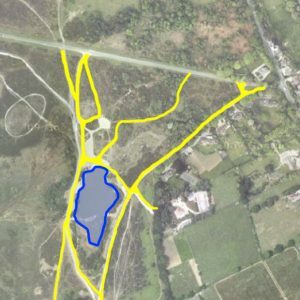 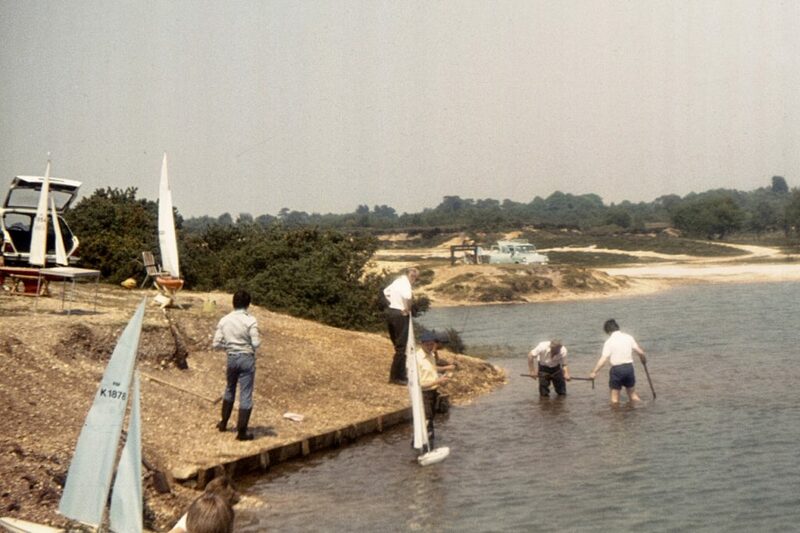 In 1970/72 the pond is shown at its present day extent but the gravel pit is no longer marked on the map. 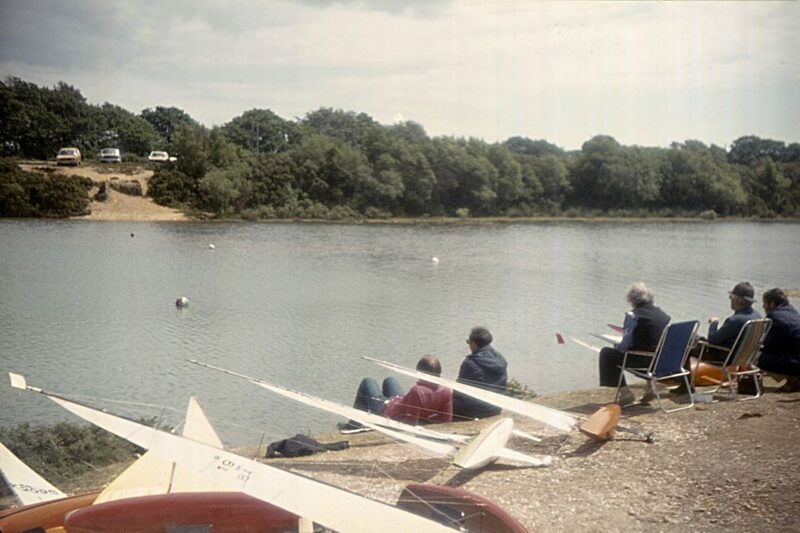 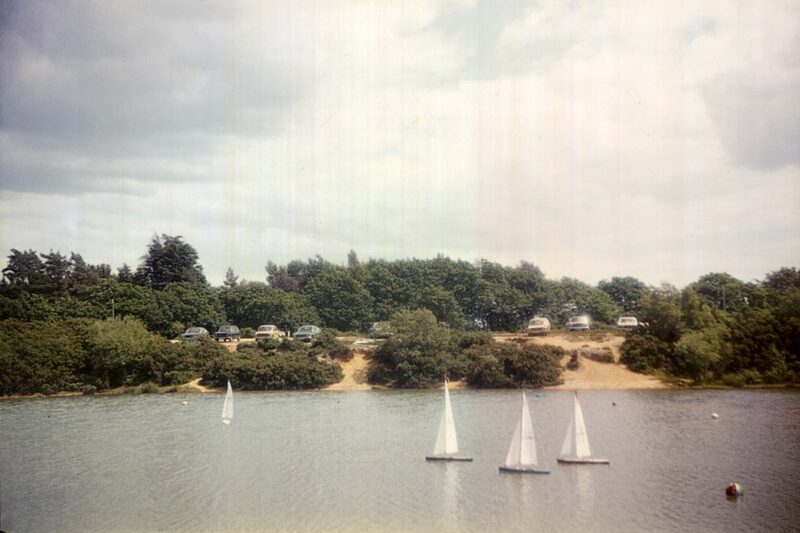 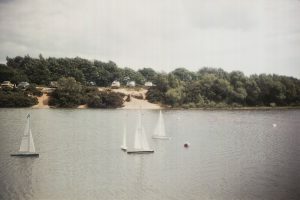 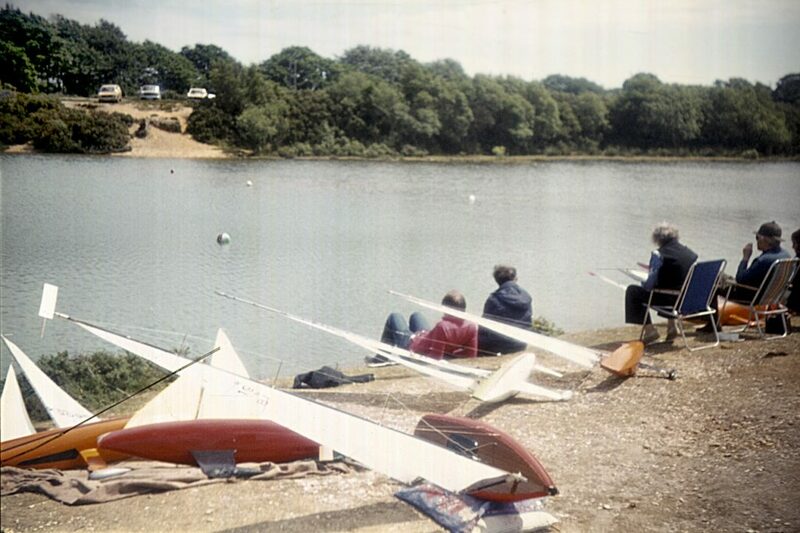 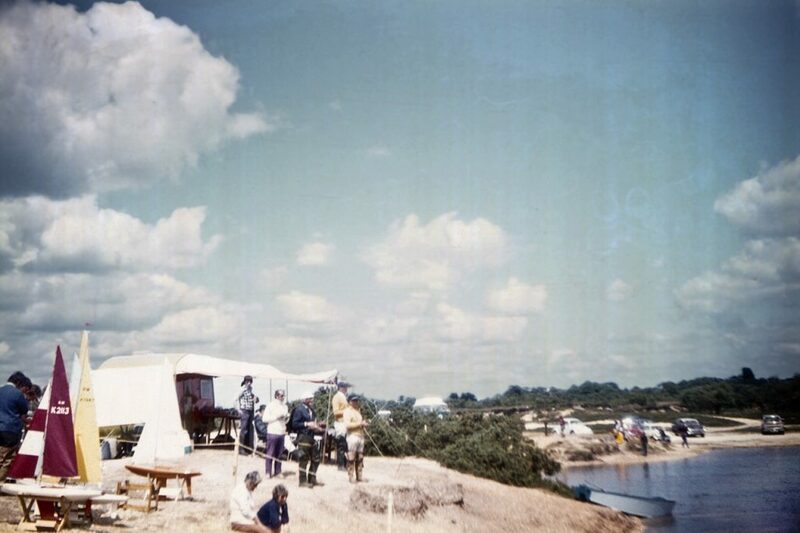 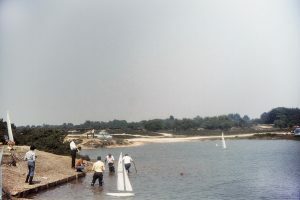 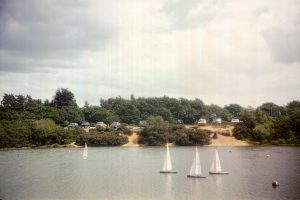 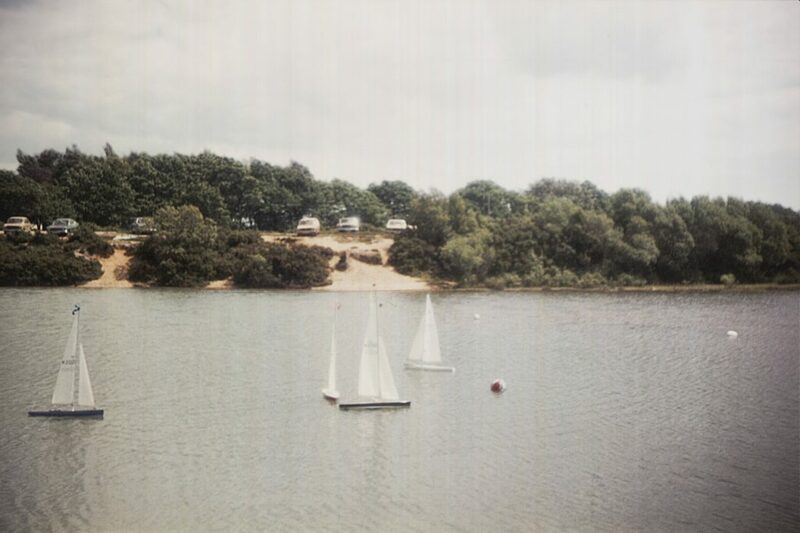 The New Forest Model Yacht Club started racing model yachts at Setley Pond in the early 1970’s, but then moved to Snails Lake north of Ringwood. 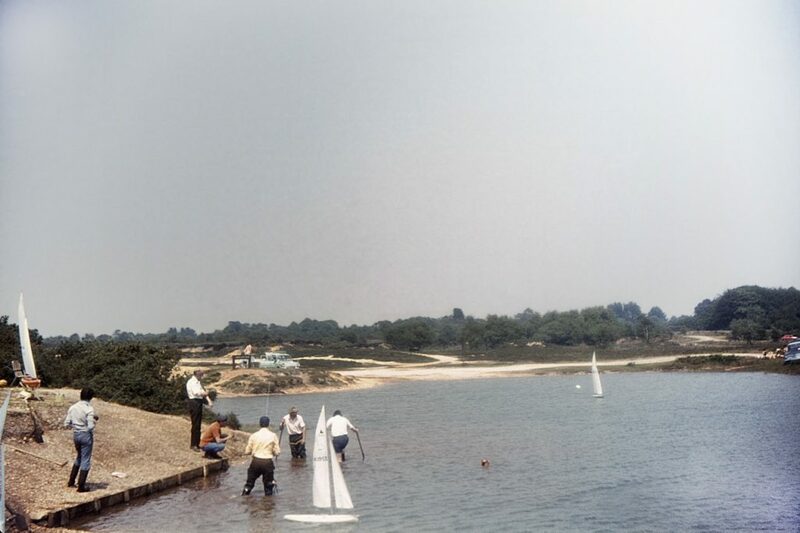 Some members returned to Setley Pond and the Solent Club was formally started as a yacht racing club in 1978. 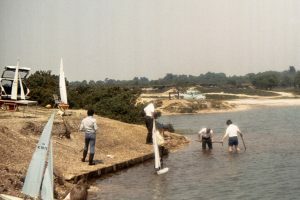 A mechanical digger was used to clear the bottom of the pond, forming the “island”, and a launching area was created with a plank “quay” on the western bank. The remains of one section of those planks can still be seen. 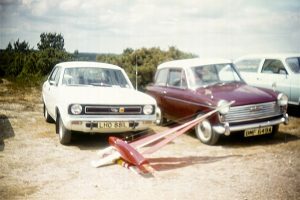 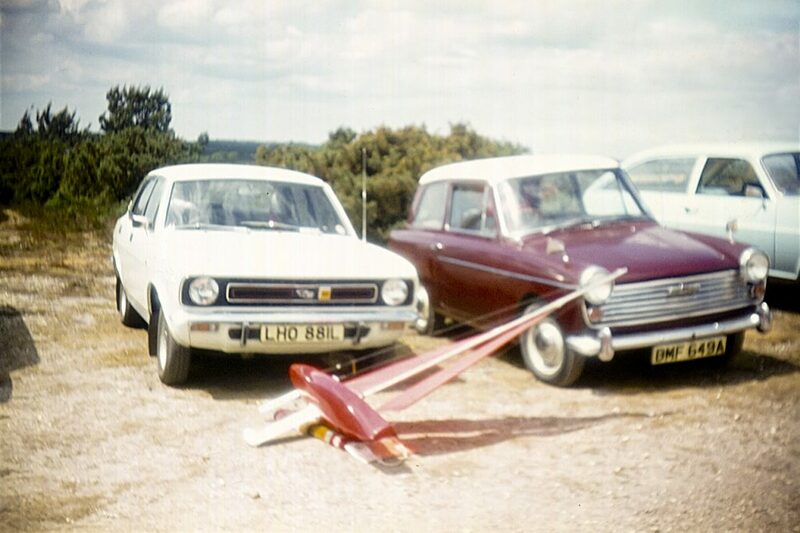 The photos below (provided by club member Graham Coombs) from the 1970’s show cars driving and parking on the tracks around the pond.